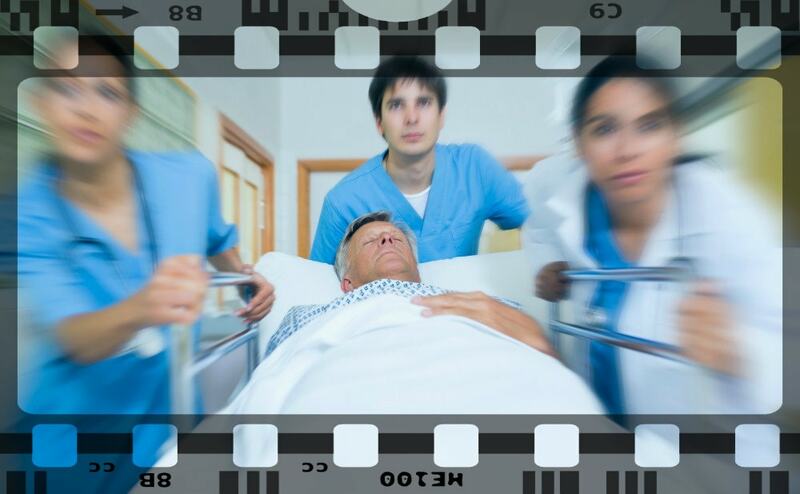 Hollywood has a tendency to show life and death situations in a very dramatic, yet medically inaccurate way. For instance, have you ever seen a TV show or movie depicting a person—a doctor, nurse, lifeguard or just a passerby—saving someone’s life with CPR or by providing first aid? It seems so effortless on screen, but in reality, many of the medical procedures or life-saving measures they perform are actually done incorrectly. Some of their actions even result in something that simply doesn’t happen in real life. With that in mind, let’s discuss how Hollywood embellishes these life-saving procedures and try to shed light on any common misconceptions. Remember the film Jurassic Park? There’s a scene in which Timmy, a young boy, is climbing an (inactive) electric fence after being chased by a Tyrannosaurus Rex. As if that wasn’t terrifying enough, the power is restored to the electric fence, jolting young Timmy with 10,000 volts of electricity. As a result, his heart stops beating, he is knocked unconscious, and he plummets to the ground. Immediately, his companion Dr. Grant begins to perform CPR on Timmy, giving him chest compressions and mouth-to-mouth. Then all of a sudden, Timmy is conscious and up and running with his group, toward safety. One main issue with this is that CPR doesn’t always work as effectively or quickly as this scene indicates. Performing CPR can take upwards of 30 minutes (and even longer in some cases) for favorable results. Also, after regaining consciousness, victims don’t generally feel well enough to begin strenuous running, like Timmy was able to. Once a patient experiences cardiac arrest and is resuscitated, they generally do not wake up and continue their day as normal. In fact, emergency room physician, Dr. Brett Belchetz says that restarting a heart is rare enough, and when he has succeeded in doing this, his patients still had to spend many days in the Intensive Care Unit in order to fully recover. In addition, according to The American Heart Association, conventional CPR can cause the fracturing of ribs and/or the breastbone (or sternum) in one out of three cases. With fractured bones like that, a patient or victim probably would not be up and running. If you’ve seen nearly any action movie involving a gunfight, you’ve probably witnessed a burly, grit-through-the-pain kind of hero taking a bullet, and then trying to remove it immediately. The reason you shouldn’t follow suit in the event of a similar emergency is because it could actually make the situation worse. Common sense rules here and you should never remove a bullet from yourself or a victim unless you know what you’re doing. Because doing so could result in further injury, severe blood loss, and even death. In the event of larger or more severe wounds, you should seek help from professional medical experts. You’ve probably seen a TV show (like ER or Grey’s Anatomy) that features a sad or dramatic scene with a flatlining patient or victim in a hospital. All of sudden they are surrounded by a team of doctors who pull out a pair of defibrillator paddles ready to resuscitate the patient. The doctor with the paddles in their hands then yells out, “Clear!” and places them on the patient’s chest. The first one or two shocks of electricity never bring the patient back to life (of course), but then that final attempt is what works—the patient wakes up, everyone is happy and/or relieved, and the end credits roll. As it turns out, however, you cannot restart a human heart like a car battery with some jumper cables. Shocking the heart into beating again only works in certain conditions, and reviving a flatlined victim with defibrillators is a challenging feat considering that only 5-10% of hospital resuscitation are successful. Still, with the proper training on how to perform a CPR or use an automatic external defibrillator, you could save a life in the event that someone is suffering from cardiac arrest. Have you ever seen the movie Pulp Fiction? There’s an iconic scene in the movie where Mia Wallace (played by Uma Thurman) is suffering from a drug overdose, unconscious and seemingly lifeless. In the scene, Vincent Vega (played by John Travolta) is prompted to stab a hypodermic needle filled with epinephrine into Mia’s heart in order to save her life. As powerful and memorable as that scene was, it is not advisable to follow the same course of action for a couple of reasons. First, while epinephrine can help a victim in many life-threatening circumstances, it is rarely provided during a drug overdose, as it could worsen the health of a victim. There is, however, a medication called Naloxone that is designed to help in these circumstances and it can be administered intravenously, and safely away from the heart. Second, inserting any foreign object into the heart, especially a needle, can cause a stroke or even result in death. And missing by even the slightest bit, could result in puncturing a lung, which could have dire consequences. Movies and TV are a great source of entertainment. But while the films and shows you enjoy may depict scenes of people rescuing others by administering first aid and performing CPR, it is important not to take what you see literally or as actual medical advice. In the event of a life-threatening emergency, you should always try to call 911 to receive help from a medical professional first. In addition, learning how to provide CPR and first aid treatment can help in many emergency situations as well. If you live in the Baltimore area and you’re interested in receiving training on how to perform CPR, or if you simply want to purchase and learn how to use an automatic external defibrillator, then contact Chesapeake AED Services today! 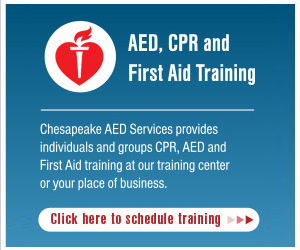 Chesapeake AED Services offers classes taught by industry experts in a state-of-the-art training facility. 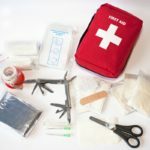 Here, individuals and groups can learn how to prepare for and handle any life-threatening emergencies. So if you’re interested in learning these important skills, feel free to register for a class today. The skills and training you learn could help you save a life! VIDEO: Heimlich Maneuver Saves Woman’s Life!